There’s a bed, and you snooze in the room for eight-ish hours a night, but is your bedroom sleep-optimized? The obvious place to start—do you remember when you got your current mattress? If not, it’s likely time to upgrade. The right bed can make all the difference for your sleep, so it’s important to consider all of the different mattress types available: pillow top, memory foam, gel, innerspring, latex; the material combinations are endless. Then think about firmness: If you’re a back sleeper, firm to extra-firm might be the way to go; side or stomach sleepers should look more at medium to plush. You might not think that wall color would affect your sleep, but have you ever tried napping in a McDonald’s? Stimulating home décor hues like red and yellow should be avoided in favor of more-restful shades of blue, silver, or green, in matte finishes rather than light-catching glossy. Also, when deciding how to decorate a bedroom, keep the furnishings minimal (especially no TV—more on that next), clear out the clutter (nix the knickknacks and stacks of old magazines), and pick your clothes and shoes up off the floor (your mother would appreciate it). It’s better in the dark. As with other bedroom activities, simply flipping off the light switch when hitting the sack isn’t the way to do it. Set the mood by transitioning to softer light before going completely dark. Light inhibits the production of melatonin, a natural sleep hormone; even scrolling through your phone or tablet before bedtime can interrupt the flow, as will your alarm clock’s display (since you only need to hear it in the morning, turn it to the wall). Sleep masks and blackout curtains are also un-bright ideas. A warm bed might sound cozy, but the ideal temperature for dozing is between 65 and 69 degrees. When your body is readying for sleep, it begins cooling down, and the right thermostat setting can help speed the process (when your body is nearing the end of the sleep cycle, it begins warming up). But it’s not all about chilling: If you’re still having trouble drifting off, putting a hot water bottle at your feet or wearing socks can nudge your internal thermostat toward sleep, as they’ll help dilate blood vessels faster. More so than any element above, sound can affect sleep for the worse—but also for the better. If dead silence isn’t possible, or not your preference, a steady stream of white noise (either from a fan, an air purifier, or an app or device designed specifically to generate it) can ambiently soothe you to sleep. Caveat: Leaving the TV on isn’t the same as white noise, because the tone and volume are in continual flux; that overnight Real Housewives marathon is doing your relaxation and sleep no good whatsoever, for several reasons. Small steps can make a big difference. 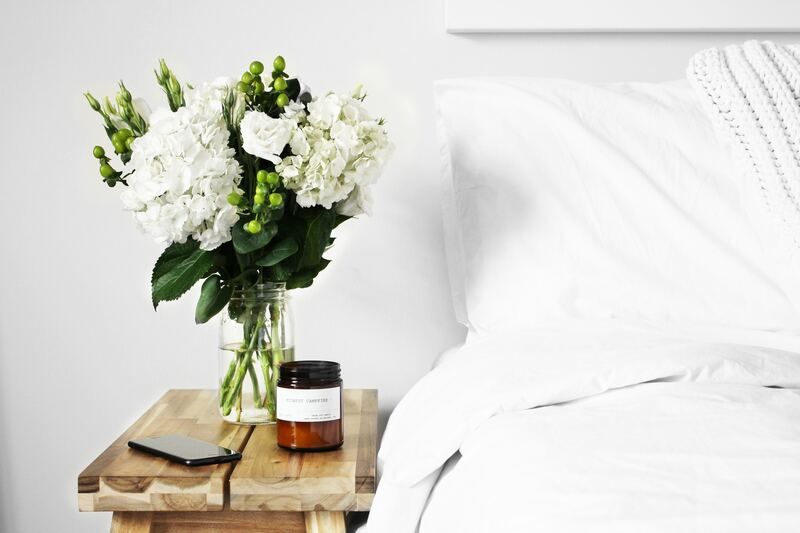 When creating a peaceful bedroom retreat, paying attention to these elements can pay off in a better night’s sleep. Where In The Bedroom Is The Best Spot For Your Dog To Sleep?